I’m a sucker for avocados! I love eating avocados with some salt or a good homemade guacamole recipe. But recently I came across a recipe for avocado brownies and it caught my attention. At first, I thought is this for real? I really didn’t think brownies with avocado would be good. In fact, I figured they’d be downright disgusting! To my surprise, they are actually really good! 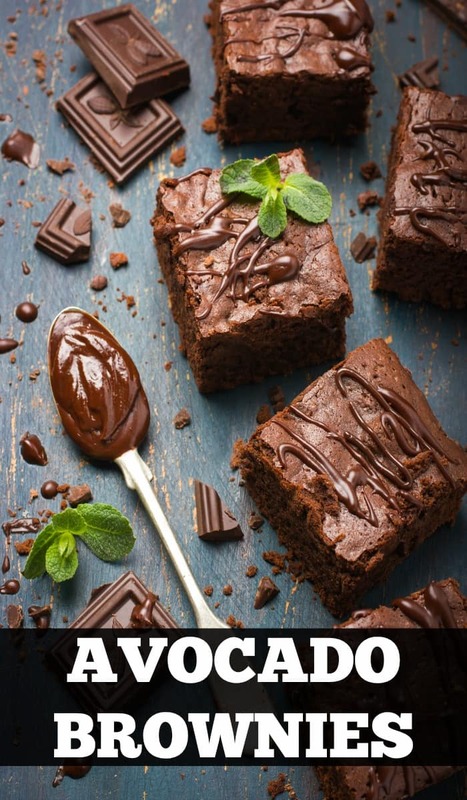 So lucky for you I’m going to share some of my favorite avocado brownies recipes as well as several that I can’t wait to try. I hope you enjoy these brownies as much as I have! These Gluten Free Chocolate Orange Avocado Brownies look amazing! I’m so excited to try them and I’m super hopeful that the orange will give them a bit of freshness. Just look at how amazing these brownies look! Seriously, bomb! They look moist and chocolatey, just how I like my brownies. Make sure to check out this recipe! Just because you are trying to eat healthier doesn’t mean you have to sacrifice your favorite sweet treats. These fudgy brownies with avocado frosting are delicious. You have to try the frosting! Stay up to date with the latest recipes! Dark chocolate and avocado?! Yum!! If you love dark chocolate then this is a must try recipe. Going vegan doesn’t mean you can enjoy some yummy treats. Check out these vegan brownies made with avocado. Here’s another brownie recipe you have to try. You’ll love the texture the avocado gives these brownies. Watching what you eat? These healthy brownies will fit right into your diet all while fulfilling your chocolate craving. Are you on a low-carb diet? These low-carb brownies are fudgy, yummy and so easy to make! Check out these Keto Avocado Brownies! I can’t wait to try them, they look and sound amazing! You are so smart! Love this idea! I think I may just try it out!